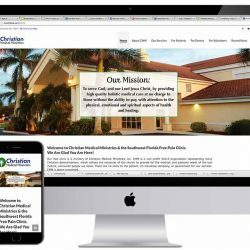 Everyone who owns a business should have a great looking website. I will offer up a few tips that explains what we do to achieve creating a really great website. Let us know what you think. To begin with it helps to have a really good hosting account that will quickly deliver the page. This will enable the designer to put up all of your pretty pictures without slowing down your site. Users have little patience for slow sites these days. Next, keep in mind that the website should be designed well. You want the site to look good on all devices. Make sure the graphics are visually appealing to the people you do business with. Last but not least, make sure to keep focused on what goods and services you provide that make you unique. Don’t forget to target the content to the people you want to do business with. Great websites have the ability to share information with millions of people all over the globe. Don’t miss the opportunity to let people know what you are all about, and give them the ability to connect on-line.